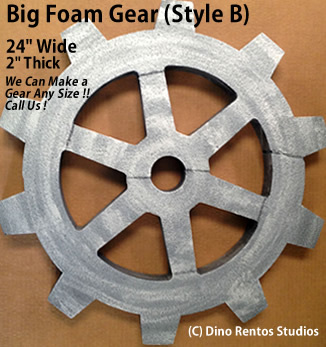 24 Inch Big Foam Gear-B Prop - Dino Rentos Studios, INC. 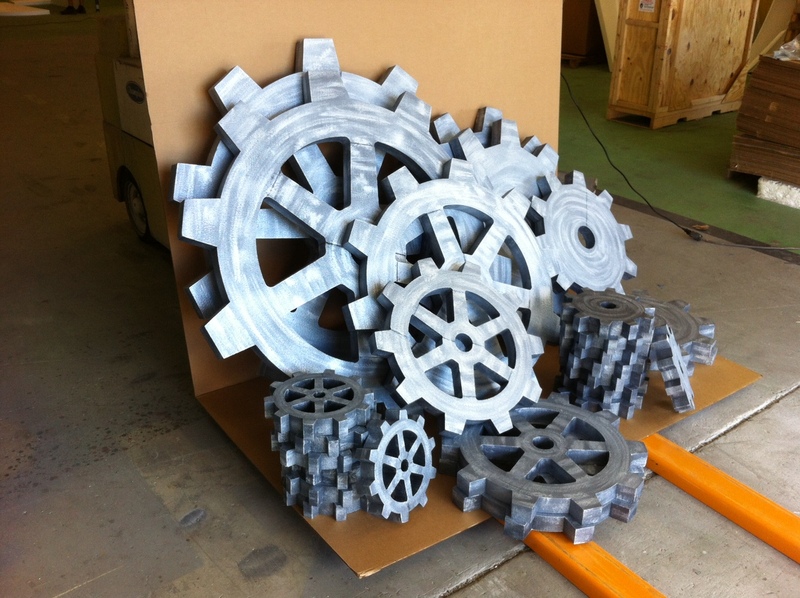 This gear prop is great for a construction or chocolate factory themed display. Have your gear plastic coated for extra strength or for outdoor use. Price is for 1 gear. Call us for custom sizes, colors, or shapes.